If you’ve ever stumbled across a creation that looked too unsafe to ever be attempted—be it a thermite cannon or a flying hoverbike—you’re probably looking at the handiwork of Colin Furze. This time he’s built a flamethrowing electric guitar with a built-in smoke machine turning whoever’s playing into the ultimate rock star. 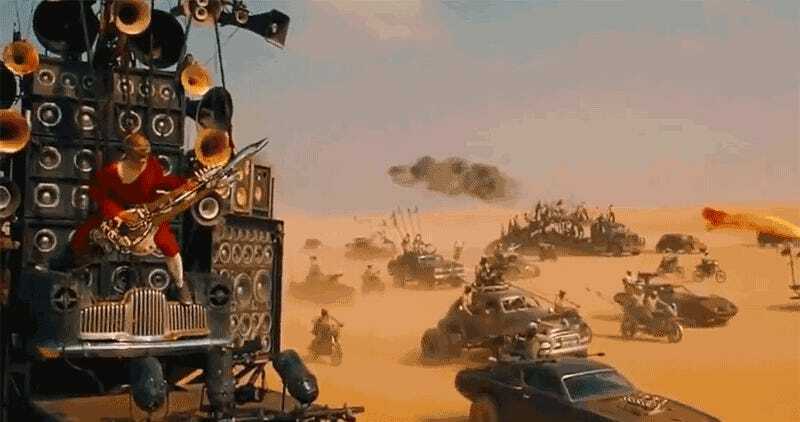 It’s reminiscent of the instrument that everyone’s favorite Max Max: Fury Road guitarist played, except somehow Colin’s creation comes across as slightly safer since it doesn’t have to be played while strapped on top of a rolling truck. As with all of Colin’s creations, there’s lots of video detailing how this flamethrowing electric guitar was built—not that you should ever attempt to build one of your own. Your home insurance probably doesn’t recognize “flamethrowing instrument mishap” as a valid reason to make a claim.